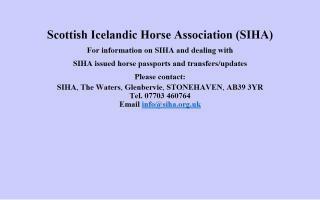 Scotland Horse Directory - O Horse! Central Saddlery is a family run equestrian business that was established in 1976. Over the years, we continued to expand and moved to our present site in 1983. After establishing ourselves as one of the largest suppliers of equestrian equipment and tack in the area, we decided it was time to move into the horse feed market. We now offer a full range of equipment for horse and rider as well as a range horse feed, pet food and accessories, electric fencing, and all manner of stable tools and other yard related products. In more recent years, we have turned our attention to the wonderful world of online retailing. Now, with many years of experience under our belt, we have built what we think is a pretty unique and interesting website which has all sorts of goodies in it for the equestrian enthusiast. The road to becoming one of the best online saddlery shops in the UK has been an interesting one to say the least. We built our online equestrian tack and equipment business with the customer in mind; this has been the driving force behind everything we've done and are still doing. Our goal was to have quality products, competitive prices, and give accurate stock information so that we can always have the desired products to you quickly with no hassle. At Central Saddlery, we feel the essence of good customer service is having knowledgeable and friendly staff. This is why all of our shop staff have extensive experience in the equestrian industry (I won't count how many years of experience because it will just make us all feel old!). This, combined with continuous training on new products, makes us the perfect place to get the advice needed to help you make the right decisions on what to buy for you or your horse. If our customers have a problem we can't help with, we encourage our staff to seek the answer from one of the many experts we have access to through our supplier network. 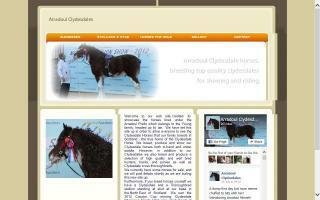 Find on this site expert information about all aspects of recreational horse driving. 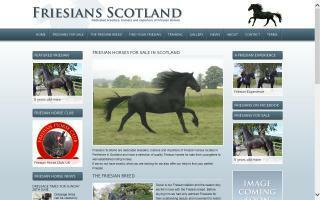 Dedicated breeders and trainers of Friesian horses. Located in Perthshire, Scotland. We aim to have a good selection of Friesian horses for sale from youngsters and happy hackers to established dressage and driving horses.